Ever go on Etsy and "window shop"? You fill your basket with shiny things...and then close the tab with a sigh. I don't even want to talk about how long these sat in my cart after an afternoon of browsing. Finally, I managed to have a few spare dollars, and I snatched these up. I must admit, I am quite happy that I finally bit the bullet. I had never ordered any polish from etsy before this. Honestly. Every indie I've bought has either been second hand or through StoreEnvy or BigCartel. Very weird. I'm not sure I like etsy, to be honest. If I can add things from multiple stores to one cart, why can't I buy it all at once? Why can't etsy eat some of the shipping and only charge me once? Hmm. As much as I whine, I doubt this will be my last purchase. I have a thing for pinks. No one is surprised by this (shut up, Amanda). When I saw the pictures of this, I knew I needed it. The shop swatches show it to be slightly less lilac and slightly more gold...but I am actually glad that it reads so blue in real life. It makes it so unique. I, admittedly, have a ton of rosy/shimmery/glittery pinks. I do not have a single one that has blue-leaning shadows. I call this SFW, because who can argue with a pale pink? It applied nicely, though it is on the thinner side. I used my shittier "swatching" base coat, and I can see a few ridges in my ring and pinky fingers. I actually prefer polishes to be on the thinner side, because it allows me to use three coats without looking like I have 1987 acrylics on my fingers. Normally, this is a very "Amanda" color...but I fell for it. 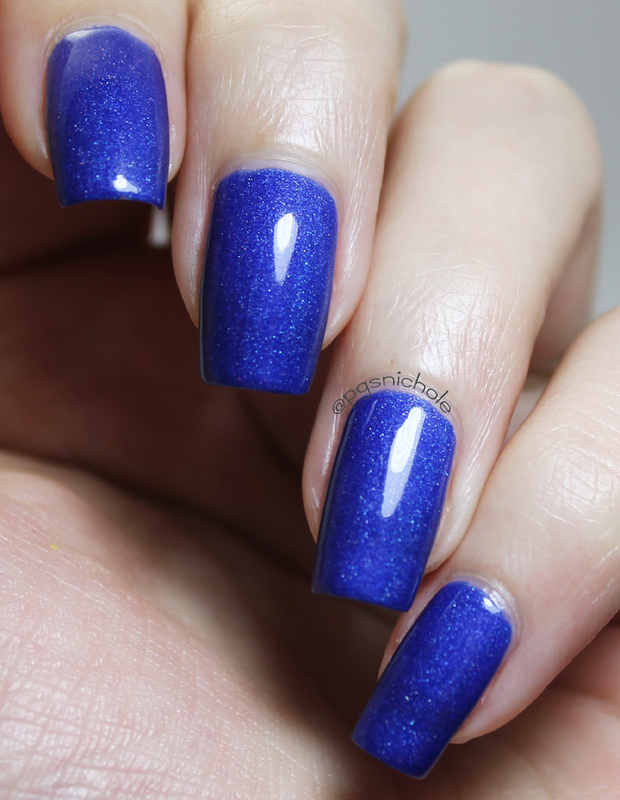 It is a bright cobalt blue with a scattered holo effect. Definitely fishy. Definitely out of my comfort zone. So what? It's awesome. 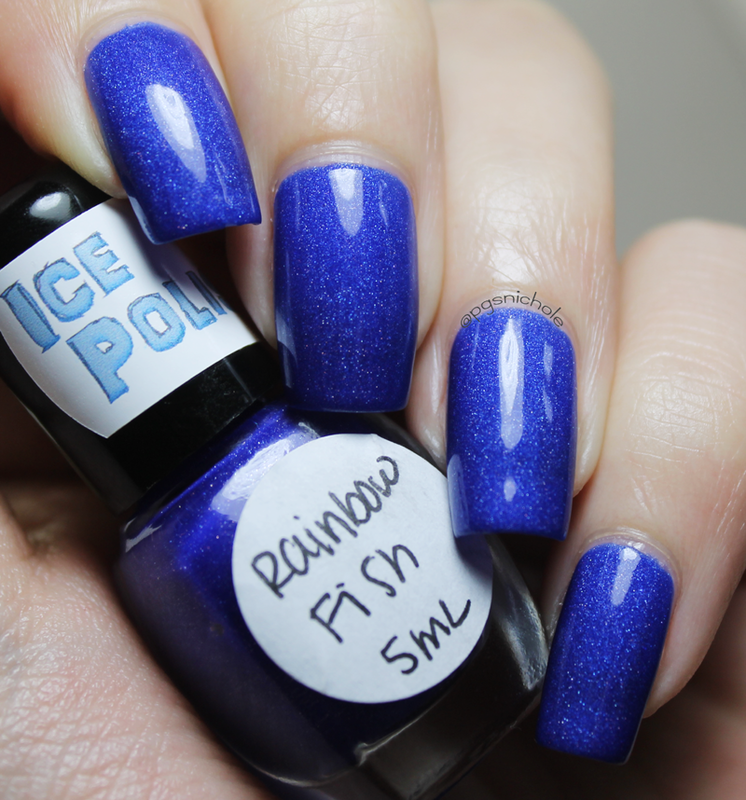 I wish the sun had come out for this, because the holo is beautiful in this shade of blue. I wore this for three damned days waiting for the sun. The morning of the third day, I gave up and removed it...only for that stupid sun to come out after lunch. Dammit. Take my word for it: thar be shinies here. I did have some application issues with this one, but none that a little polish thinner wouldn't solve. In order to smooth it out, it definitely needed some Gelous...but honestly I think it adds to the glow of the blue. It also dries a bit matte, so really you need top coat regardless. hahaha always happy to help! 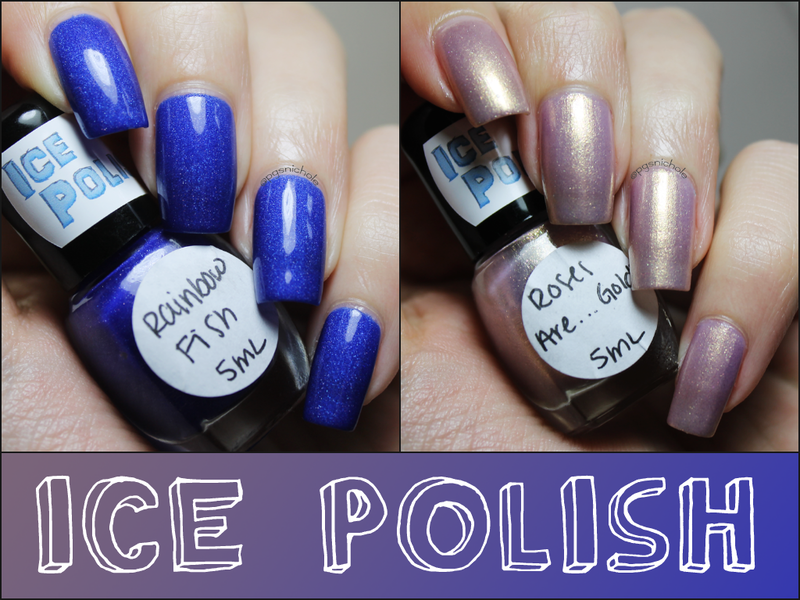 I am new to the Bay Area Bloggers group so I am checking out everyone's blogs :) I've never used polish from this brand but I've have good experiences with a brand called IndiePolish from Etsy. Your nail swatches are GORGEOUS! I'm pretty new to indies, but I might have to check them out soon!